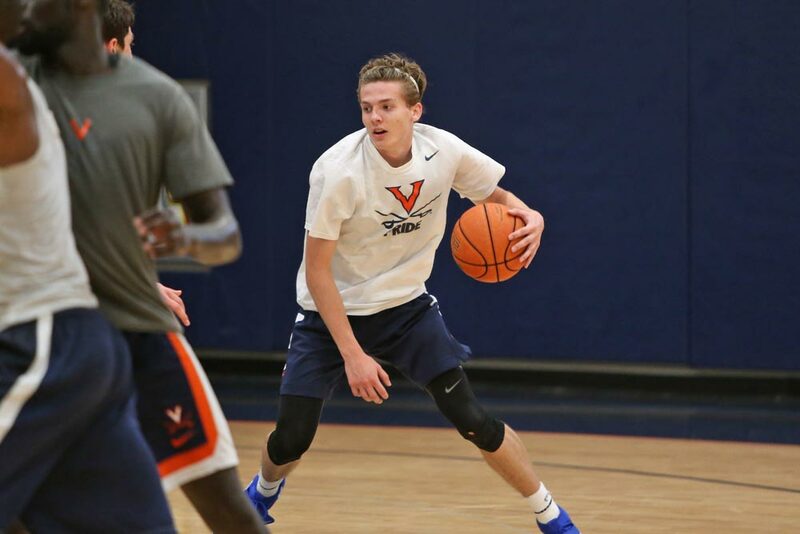 Here’s what we think we know: UVA has one of the best coaches in the country in Bennett; one of the best point guards in London Perrantes (Col ’17); and a bunch of other players who don’t have much of a track record for being anything more than college role players or high school hot shots. 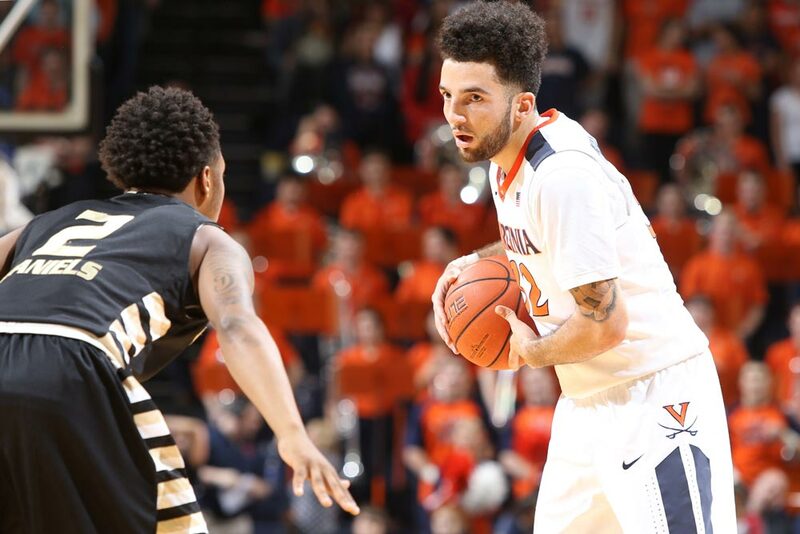 With the losses of Malcolm Brogdon (Col ’15, Batten ’16), Anthony Gill (Col ’15) and Mike Tobey (Col ’16) from last season’s team—the trio accounted for 55 percent of the scoring—Bennett either needs a couple of his returning players to take on bigger roles, or for a freshman or two or three to live up to his billing. 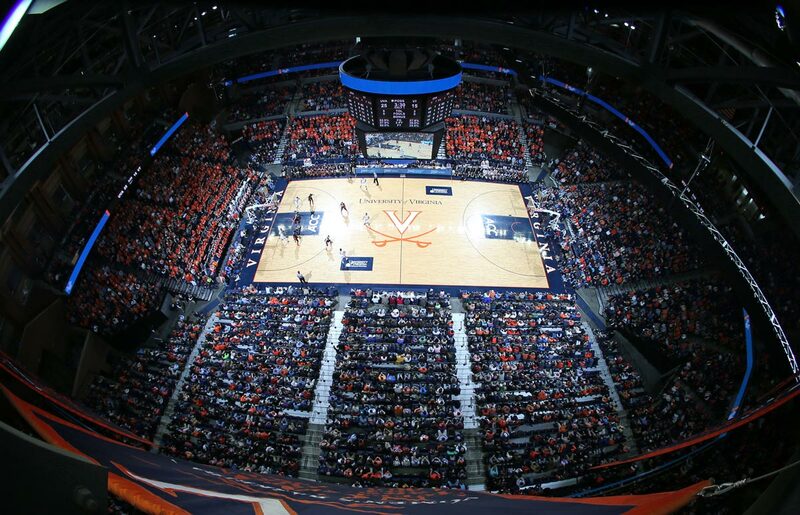 As expected, Virginia—ranked eighth in the Associated Press Top 25 and predicted to finish third in the ACC behind Duke and North Carolina—had no trouble in convincing wins over UNC Greensboro, St. Francis Brooklyn and Yale to start the season. Upcoming non-conference games against Iowa, Ohio State, West Virginia and California figure to be the real barometer. The good news for UVA fans is that Perrantes is at the helm. Having someone like him who can tie everything together is essential. Perrantes has been everything Bennett could hope for in a floor general. The preseason All-ACC First Team selection takes good care of the ball, sporting a 2.9 assist-to-turnover ratio for his career. But this season we’ll likely see a different version of the laid-back Californian, who figures to be more scoring-minded—how much so will depend on the contributions of the supporting cast. Of course, there are challenges with becoming more shot-happy. Opportunities for open 3-pointers—in past seasons often the result of Brogdon penetration or a Gill kick-out—may not be as plentiful. Perrantes, whom Bennett plans on running off more screens this season, will be more of a marked man. “It’s always a little different when defenses are geared to stop you,” Bennett said at the press conference. However it shakes out, Perrantes’ job will be easier if Virginia can establish consistent inside scoring. Memphis transfer Austin Nichols’ dismissal for team rule violations makes filling Gill’s shoes more of a question mark. Jarred Reuter (Col ’19), Mamadi Diakite (Col ’19) and Jack Salt (Col ’18) will have more opportunities. Last season, Virginia’s vaunted defense wasn’t quite as stifling as it had been in previous years when Darion Atkins (Col ’15) and Akil Mitchell (Col ’14) roamed the paint. Salt and Diakite should give Virginia the rim protection it has been missing, according to Bennett. Bennett says he is also optimistic that a new rule allowing defenders to jump straight up and not get whistled for a foul—he has dubbed it the “Mozgov rule” after NBA player Timofey Mozgov—will benefit Salt. Third-year Isaiah Wilkins (Col ’18) figures to be a front-court mainstay. In his first two years, the 6-foot-7 forward has endeared himself to coaches and fans by doing a lot of the grunt work that doesn’t show up on the stat sheet, a la Dennis Rodman, one of his basketball idols. This season, Wilkins figures to improve on his 4.6 scoring average, if for no other reason than that without Gill and Tobey, there will be more shots available. After taking just three 3-pointers all of last season, Wilkins has already launched two this season, making one. Without Brogdon, guards Devon Hall (Col ’16), Marial Shayok (Col ’18) and Darius Thompson (Col ’17) will also get more shots. Hall, who earned Bennett’s trust as a starter last season, seems ready to fire away. “I’m playing with much more confidence in my shot and being more aggressive,” he said. Shayok is coming off an up-and-down season in which he didn’t play at all in the second half in the Elite Eight loss to Syracuse. 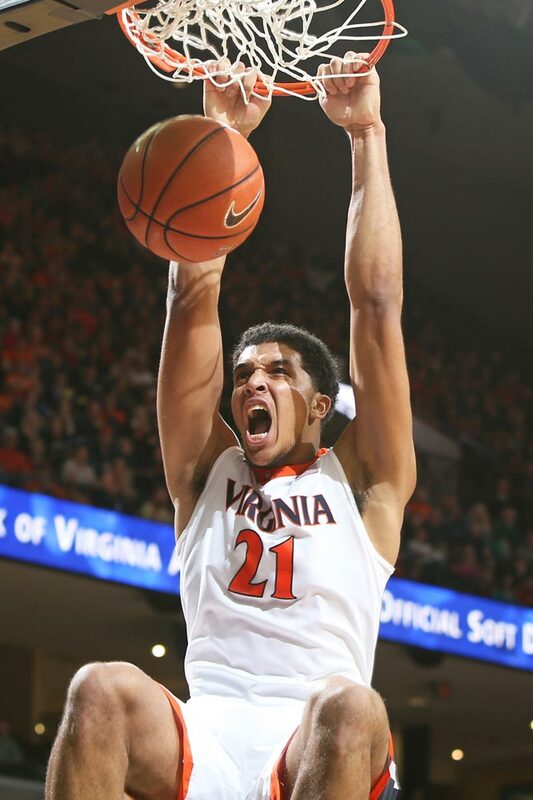 “I went to work this year and I’m definitely ready to bring whatever I can to help our scoring and also defensively—guard whoever Coach needs me to guard and bring that kind of commitment there,” said Shayok, who is averaging a team-leading 12.7 points through the first three games.” Thompson had an impressive start to his Virginia career with some above-the-rim plays that briefly made ’Hoo fans forget about Justin Anderson (Col ’16), but he was a fringe rotation member by the end of the season. Somewhat surprisingly, Bennett has started him the first two games of this season and brought Shayok off the bench. McDonald’s All-American Kyle Guy (Col ’20) is a freshman guard who has shown signs of being able to carry some of the scoring load. The 6-foot-3 Indianapolis native, who had 12 points in 16 minutes off the bench in the win over Yale, was the headliner of Bennett’s consensus Top-10 recruiting class. Making all the pieces come together is more difficult without leaders like Brogdon and Gill. Perrantes is the team’s lone scholarship senior. Guy said Perrantes has exceeded the expectations he had for him as his mentor. “Every day in practice he goes hard and makes me want to go harder,” Guy said. Hall, who has been in the program four years (he’s earned his undergraduate degree), and Wilkins seem more than eager to fill those leadership slots. “I’ve had it in me—I just didn’t want to overstep my boundaries,” Wilkins said. ♦ Last season’s statistics in parentheses unless otherwise noted. At ACC Media Day last month in Charlotte, the hyped expectations Bennett disdains were in full effect when Duke coach Mike Krzyzewski weighed in on Virginia—something he had refrained from doing in recent years when he would say, somewhat curtly, he preferred to focus on his own team. 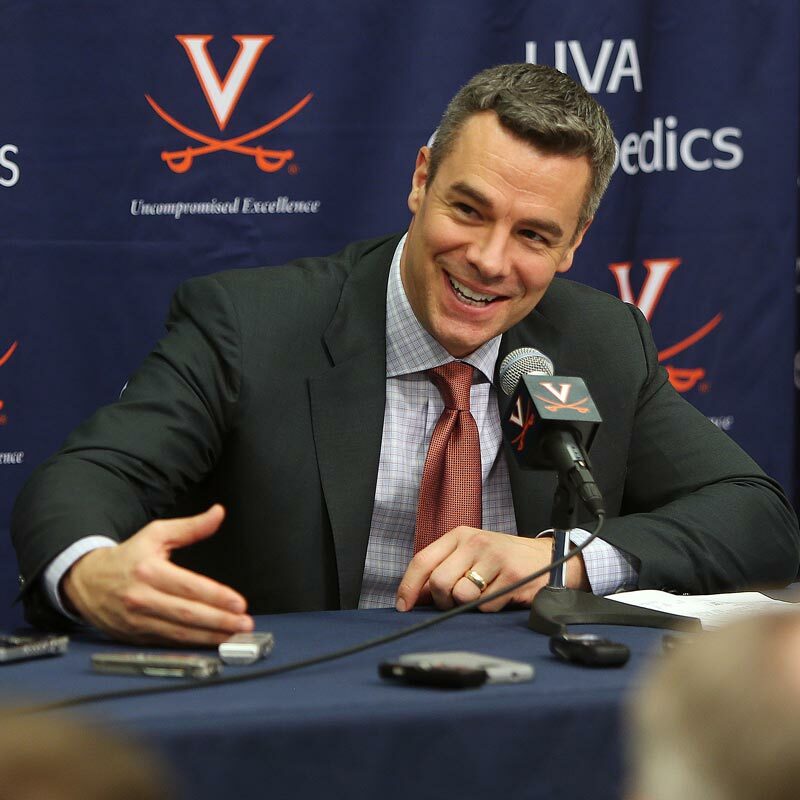 This time around, the hall of fame coach didn’t hold back when asked if Bennett could someday lead Virginia to a Final Four. One could imagine that somewhere Bennett was cringing. This is going backward, but Bennett needs to do a better job of settling his team when an opponent presses - I’m referring to last season’s regional final when Syracuse, in desperation, went to the press. UVA had no business losing that game. I think the talent is there, but the coach also needs to step his game up.